Diamonds are a girl's best friend! 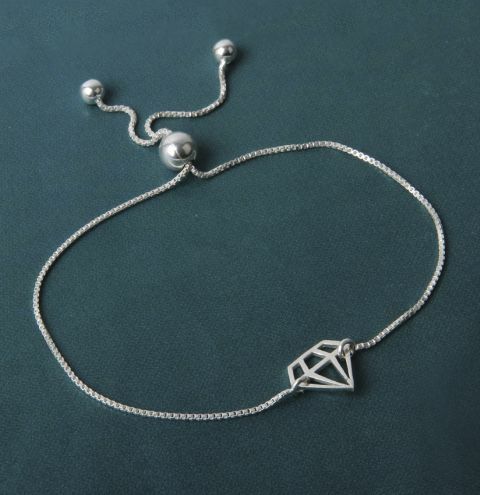 Make a delicate sterling silver bracelet using our new adjustable chain and a cute diamond connector. Open the jumpring loop on either side of the chain and attach them to the diamond connector.